No License, No Funds, No Grab Partnership - Is This G'bye For Gbikes? 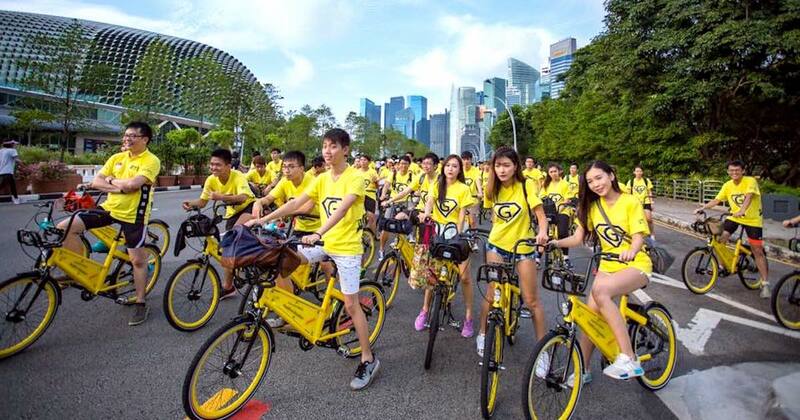 Local bike-sharing company GBikes, which was set up early last year, had initially announced that it would be ceasing operations on July 7. While it did not specify reasons for termination, we figured that it could be linked to LTA’s new licensing scheme, which commences on the same day as GBikes’ exit. According to a report by TODAY, the latest update about the company is that its chief financial officer Joe Chia has left the firm, and the firm’s financial outlook is very hazy. Although GBikes had raised $20 million in its initial round of funding last September, Chia claimed that the company did not receive the money. And while there is a national broadsheet with information about the funds, the funds’ whereabouts are currently unknown. But company director Rykel Lim assured that GBikes is not at the risk of closing down. He told TODAY that a Singapore-based investor has agreed to invest $1 million to fund the firm’s “new chapter”, provided that Gbikes secures the operator’s license. This is why GBikes is working hard on submitting an appeal to Transport Minister Khaw Boon Wan by this month, after its application was rejected by the authorities last week. When GBikes questioned the Land Transport Authority (LTA) as to why their license was denied, LTA simply said that the company “did not pass the evaluation”. It did not elaborate further on which aspect of the assessment criteria it failed to meet but operators are typically assessed on their fleet utilisation rate, financial strength and ability to manage indiscriminate parking, among other things. Local ride-hailing company Grab had apparently prepared and submitted the license on behalf of GBikes, as the two companies were previously in talks to sell GBikes to Grab. While Lim had authorised Grab to do so, he claimed that his requests to look at the application was later denied because Grab told him that it contained “propriety information”. The potential partnership with Grab also did not come to fruition in the end. Elaborating further on the Grab-GBikes deal, Lim said that it was Chia who made the first move to offer GBikes for sale to Grab. About a fortnight before the licence applications closed in early July, Lim spoke to Grab and told them about issues with the company’s initial coin offering with the intention that Grab would make an “informed decision” about their partnership. The initial coin offering last year saw investors pouring possibly millions into ‘GCoins’, which is a payment mode that allows users to ride its bikes. But some investors have asked for refunds since, among other things. Internally, there was also conflict between the two executives. Lim told TODAY that the relationship between him and Chia had soured in mid-2017, when he was unable to properly manage the business as Chia was being “uncooperative”. He said his attempt to deploy bicycles onto the streets was hampered, as the warehouse refused to release the bicycles and would only act on Chia’s words. “I realised at that point in time that there was no partnership between (Chia) and me as far as the bikes were concerned… I had to agree (to hand over operations) because I couldn’t do anything about it,” he told TODAY. The two last communicated in July or August. But now that Chia has left the company, Lim believes that he can turn the business around. “If I can solve the … problem (with the initial coin offering), buy new bicycles, get the licence and operate, then (Chia) will be a chapter behind me. I’m trying to find a more positive outcome on this matter,” he said.